Biogeochemical ocean general circulation models are important tools for quantifying the marine carbon cycle and its feedback to the climate system. These models simulate the inorganic carbon cycle and also the organic carbon cycle through a series of simplified process parameterizations. This chapter presents an overview of the major concepts and methods in marine biogeochemical modeling including the combination of models with observations. Because of the climatic relevance of the carbon cycle, major emphasis is placed on it, but some other related matter cycles are also touched upon. 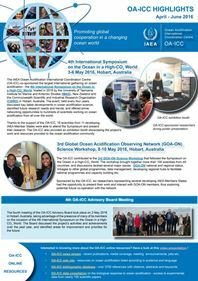 New developments in ocean biogeochemistry during the last decade are described including the marine anthropogenic carbon uptake and ocean acidification. 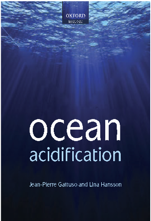 The chapter tries to acquaint scientists from other disciplines with marine biogeochemical modeling and provides key literature resources for further in-depth studies. Heinze C. & Gehlen M., 2013. Chapter 26 – Modeling ocean biogeochemical processes and the resulting tracer distributions. International Geophysics 103:667-694. Article (subscription required).